South Beach Local Bus makes a stop one block away in front of PUBLIX and cabs are always available around the area. The Sardinian Experience: an 8-courseTasting Menu featuring signature dishes from Sardegna. One of the most authentic and exciting restaurants to open in Miami Beach in ages, this ultra-friendly restaurant has made fast friends of the neighborhood around Sunset Harbor. The young staff is exceptionally knowledgeable and helpful. 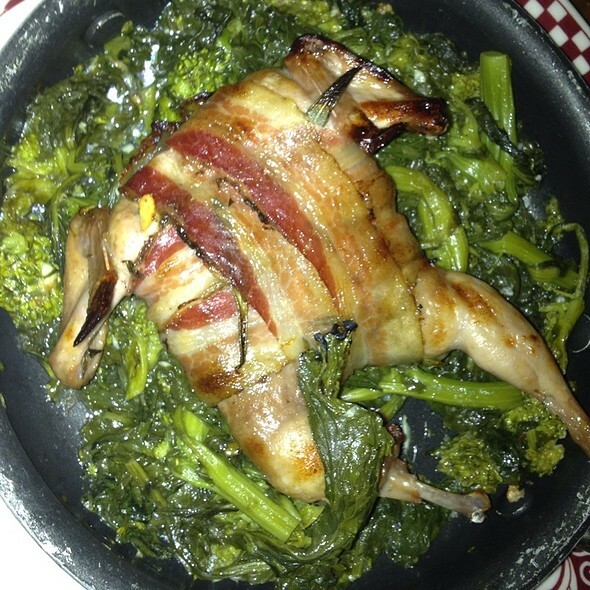 Highlights on the lengthy menu of rustic dishes include spaghetti bottarga, orecchiette with wild boar sausage and nearly melted broccoli di rabe pesto. Salt-crusted branzino, prepared in the wood-burning oven, is a masterpiece. 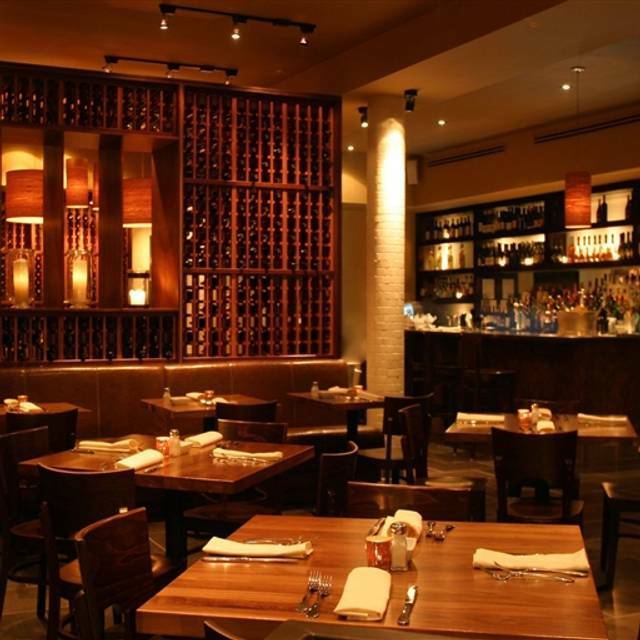 The fantastic, value-priced wine list is always a winner. Best to go with a crowd and share a platter of thinly sliced meats and cheeses with vegetables roasted in the wood-burning oven. Order a plate of crackly rosemary carasatu bread, too. Desserts, like the millefoglie with nutella and pastry cream, are as addictive as this new hot spot. Other Deals of the Month are listed in the first page of our wine list. Make sure to take advantage of the deals. Join us everyday from 4pm to 7pm for Happy Hour. 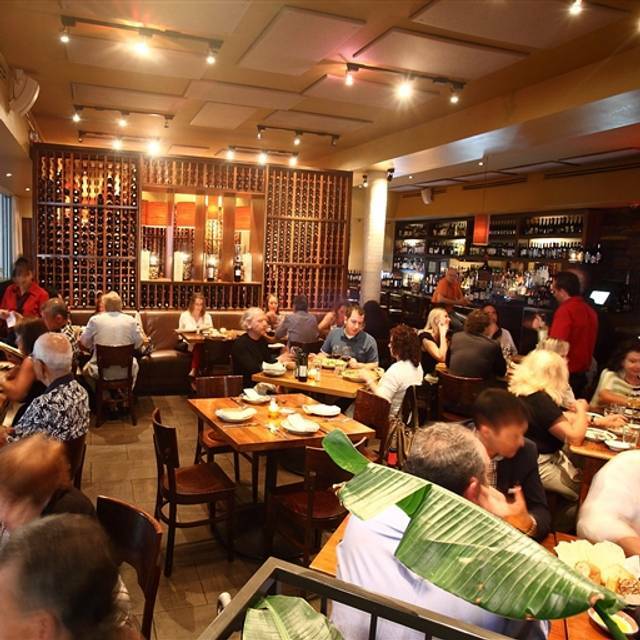 Enjoy $7 wines & cocktails, $4 beers and Antipasti specials through-out the whole restaurant. Remember Fridays is our Scotch o'Clock from 6pm to 9pm where you pay for the feature scotch according to the time you order. Featuring: JWBlack, Chivas, Dewars 12 & Buchannan. Great food and service. The appetisers were particularly delicious and diverse. One could easily order a multitude of appetisers to share versus main courses. Always great. 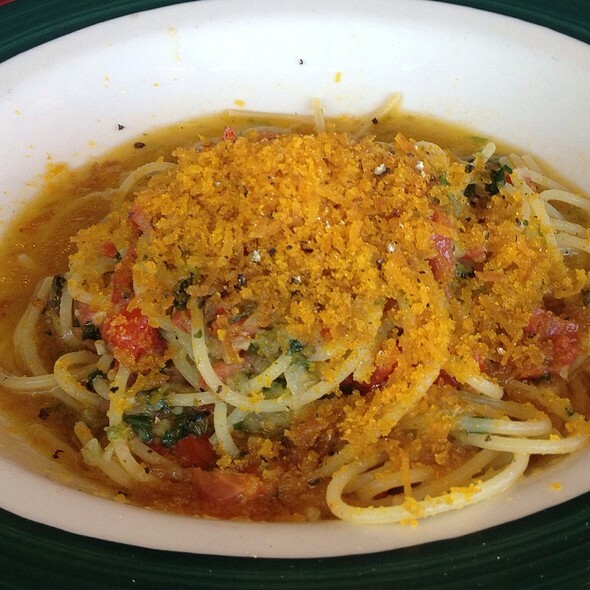 Spaghetti with bottarga awesome. We started off with the cheese and tomato and veal meatball and the 3 of us had the Braised Lamb shanks, it was fantastic the meat was fall off then bone and the apps were fab i could have eaten 3 or 4 of those veal meatballs. Service was great snd any foodie would love this place. Food, service, taste, amount and quality of food very very good. The only negative is the bench seating is way too soft and the air-conditioning was not up to par. We eat out a lot. Miami Beach is known for bad service...no sense of urgency etc. we were seated and three tables seated after us were serviced before us. The server said he didn’t know we were his table. (Not sure if it was because we were 2 women.) the food was less than average. The mozzarella bar was not impressive. The burrata was sour and stringy. For a Sunset Harbor icon, we were less than impressed. We will not return especially with a restaurant like Stiltsville Fish Bar across the street who has amazingly sickening food! Very unusual in US to get genuine Italian food. This was my second visit. I will be coming back. Fantastic quality. Must try the sardon version of risotto, all the salamis and the Sardinian flatbread. Great experience, place and food. We have been there many times when we travel to Miami!! My favorite Italian restaurant in Miami Beach. Food is truly outstanding! 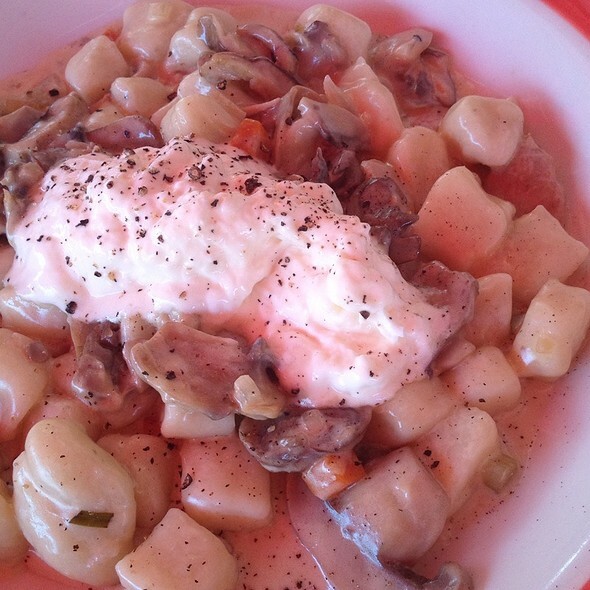 Our third visit to Sardinia, Yes, we love it! We started with the Grand Tasting from the mozzarella bar and added tomatoes and prosciutto. Our wonderful waitress Sandra D. patiently explained what each cheese was. It was so delicious and was enough for 3 of us...I will order that again! Don't hesitate to visit Sardinia! We have happily eaten at Sardinia several times, and last weekend we brought some friends to celebrate their recent marriage. 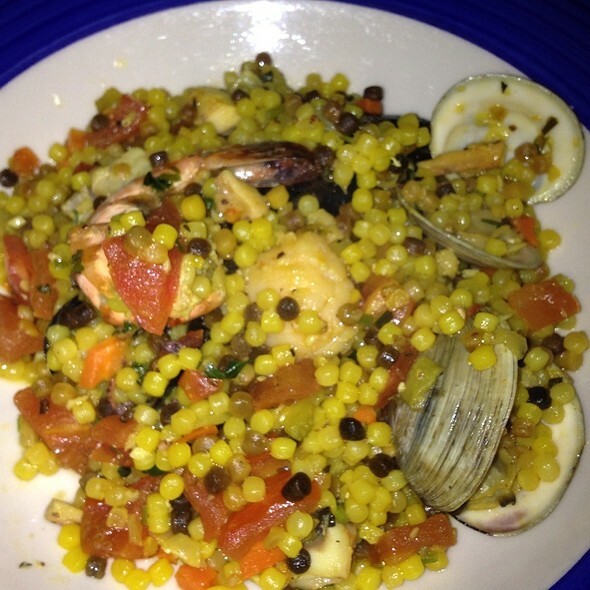 The food was excellent as usual, especially the paella with light-as-air coucous and the baked artichokes. Our only sour note: For the first time, we had reserved outside seating, and I would not recommend this. It's no fault of Sardinia's, but the tables on at least one side of the restaurant (the right side as you face the door) sometimes are subject to an unpleasant smell, likely wafting from the city's drains. As it was a busy Saturday night, there were no available inside seats to move to. I don't know how often this happens, but I wouldn't take the chance again! We have been going for years and somehow this place got even better this year. Love it! Paella made with couscous was great! Bread before the meal was delicious, especially the butter blended with cheese. Even the vegatables, spinach with garlic, broccoli rabe and caponata were great. 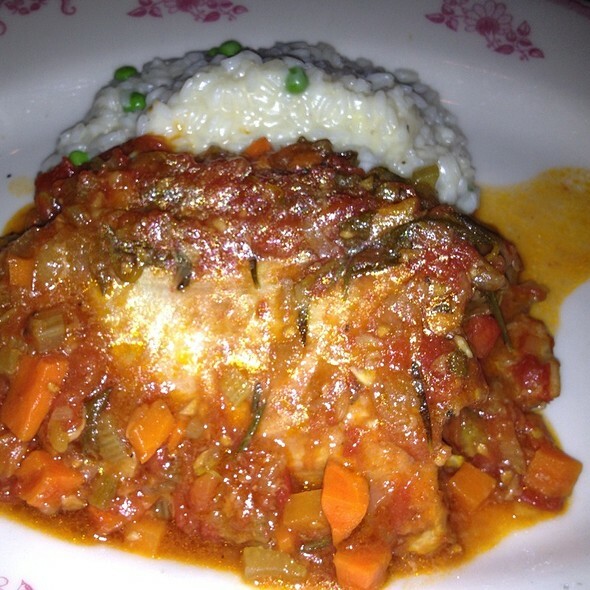 The best Italian restaurant in Miami! Consistent quality and a feel of “just like home”! Will definitely be back over and over again! Food was outstanding as usual. And the server was the best we have had, attentive, helpful in making recommendations and just plain nice! I took my very elderly mother with her walker to Sardinia, and the wait staff, especially our excellent server, couldn't have been more gracious and accommodating. The restaurant is spacious and bright without being pretentious. A place you can sink into and be comfortable in -- and enjoy your wonderful meal. This is a place that locals go to on Purdy Avenue, so it feels welcoming, unlike the many tourista eateries on South Beach. You feel like you're coming home to eat with family and friends. Oh, and happy hour at the bar is very groovy, too. We had a lovely time at Sardinia Enoteca (Miami Beach). 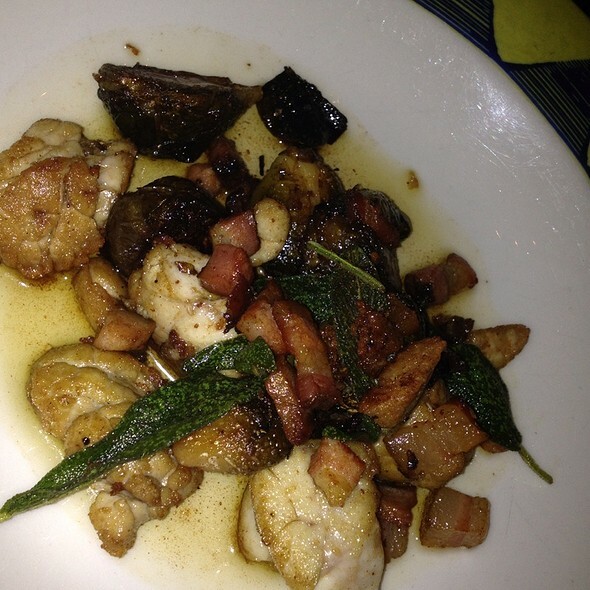 Having eaten at the Delray Beach location we had high expectations. It was a beautiful night to eat outside and our party of four took advantage of it. The food was great - an assortment of their grilled vegetables - beets especially. Octopus, eggplant parm and lobster ravioli in butter sauce. All shared. My only issue was service. It seemed that outside was an afterthought. The young lady was pleasant and good at what she did but just had too many tables inside and out. We'll be back. I have been a fan of this place for years. We booked an outside table and realized upon seating that we would rather be inside, they were great about changing our table. Food was good, as usual, great service too. We were seated outside (at our request) on the side of the restaurant that had a pungent odor from the sewer of which no mention was made by the hostess when she sat us there. Everyone else they tried to sit there either said no or took the table but then asked to be moved minutes later. While we should have moved and not expected the smell to pass soon, the restaurant obviously knows about the bad odor and to knowingly seat customers there is inexcusable. We went early and the place was very quiet - enjoyed our meal! Donato made us feel like family! Awesome experience! Always great to go for lunch or dinner. Food is wonderful and service terrific. Love this restaurant. Branzino is amazing! The food was delicious. However, conversation was difficult because the restaurant was extremely crowded and the noise level was extreme. Not a good place at which to carry on meaningful conversation. Liked it so much I went twice. Fabulous Mediterranean food, good service and comfortable surroundings. Who could ask for more. Great value, excellent and reasonable wine selection! The paella was delicious!! Food was excellent, we sat outside, inside seems to be hard to get. Outside ambience is ok, a little noisy corner...but the food was superb! Always an enjoyable meal with well prepared Italian specialties focusing on the cuisine unique to the Italian island of Sardinia. Reasonable and not overwhelming portion sizes, very good dessert selections and an excellent wine list. I am a repeat customer and will continue to visit. Easiest access to this Miami Beach restaurant is via the Venetian bridge. The quality of the food, its inventiveness and the quality per cost are all on the positive side: the pasta with bottarga was excellent, the veal chop much better than the more expensive one the night before at the posh Brava at the Arsht; however, the waitress brought us the wrong appetizer which created a cascade of issues - first we ordered the artichoke appetizer (great when it came) but we got the caponata- instead of wisking away the caponata, why not leave it to pick until we received the artichoke ? Then, ten minutes later, the rest of the food was delivered by another waiter - pasta, veal, etc. Now, I know better than to send it back because I am convinced it would sit on the warming shelf until we were, in fact, ready to order it. 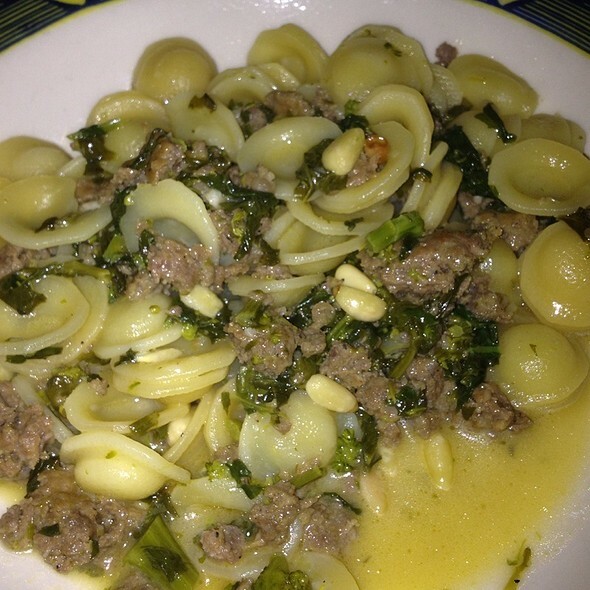 The pasta was good but the bottarga could have been fishier; the veal was cooked well but somewhat tasteless. We sat outside, beautiful night; the wine list was fair and interesting and the scotch deal, a real deal. Went on Valentines Day evening to a full house. Didn't have to wait more that 15 minutes for our 8:45 reservation for 4. We were seated at a very nice table, homey and local feeling. Great servers, good menu, and started with a nice barolo and charcuterie and cheeses. Pasta with lobster, broccoli rabe, lamb chops and veal saltimbocca. Coffee and a panna cotta to finish it off. Perfect. Good solid meal and good full bar. We loved it. Excellent dinner. And the service was great. So consistently good! Always come back as a result! Even the cocktails are delicious!